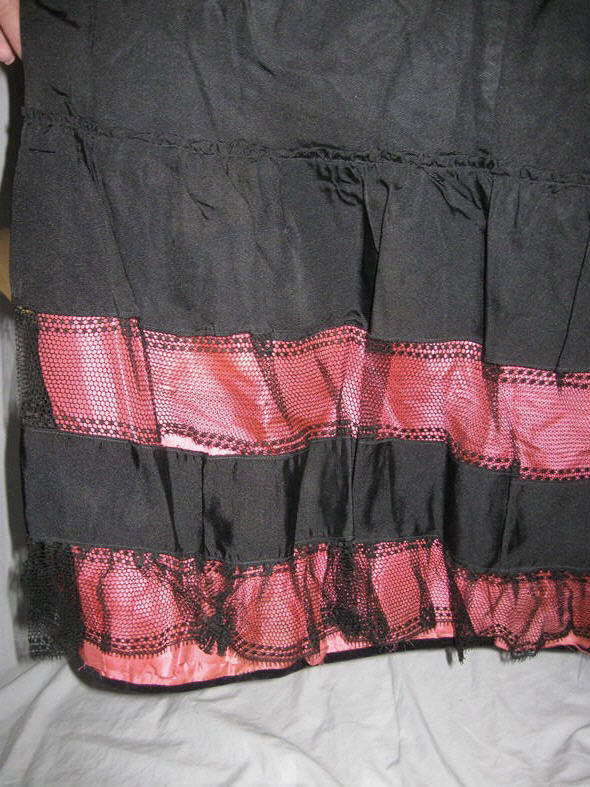 This lovely Victorian petticoat is made from black silk faille, it has a wide ruffle of pretty netting and a wide band of the faille, backed in a rosy pink taffeta. 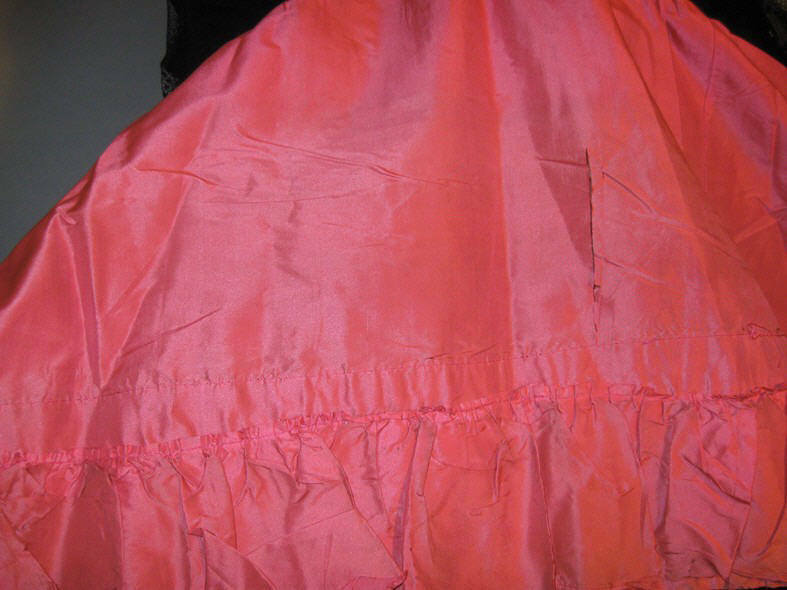 The petticoat has some tears under the waistband, a horrible iron on patch and a few tears on the side, the pink ruffle underneath is also splitting, the lace ruffle is good. It could be repaired to make it wearable, but it's not falling apart at the touch, but would be best for doll clothes or salave. 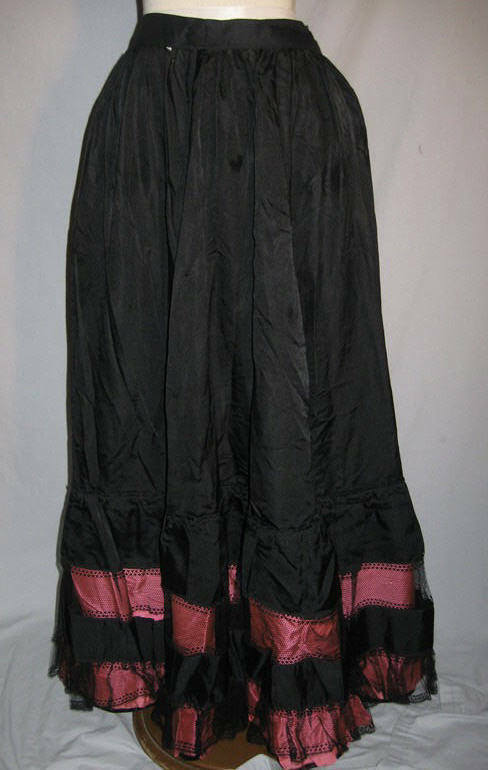 IT has 2 - 1 inch tucks in the waistband, so could be about 4 inches larger if released. IT mesures now, 26 inches around the waist, hips are full and it's 39 inches long. as is. Please ask any questions prior to bidding. Thank you for looking at my auctions. Thank you for looking at my auctions. Although it's in poor condition, I had to post this one just due to the PINK accent. 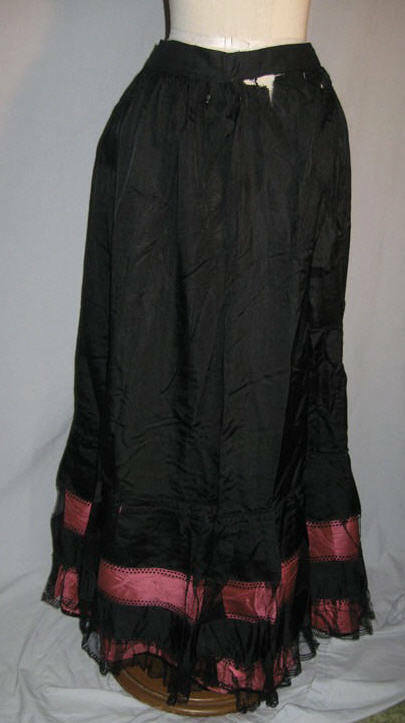 I love the look of black net over a color that bright.